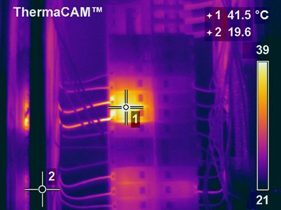 Thermal imaging is a valuable tool in preventive maintenance of electrical, mechanical and structural systems, able to help detect problems, prevent unscheduled downtime, guide needed corrective action and increase plant safety. 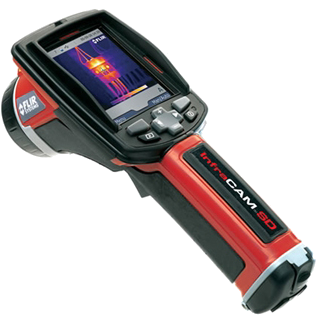 FLIR infrared cameras have been proven for more than 30 years in industrial thermal imaging. 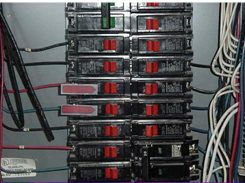 They can save time and money in a wide range of commercial and industrial maintenance applications. FLIR offers a wide array of infrared cameras that are ideal for the predictive maintenance (PM) and non-destructive (NDT) professional. These cameras make it easy and cost-effective to capture images in the field and to use those images in your final inspection report. 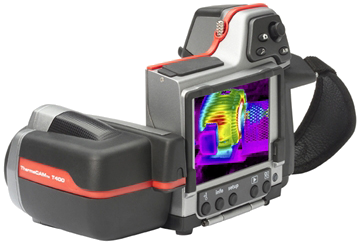 The ThermaCAM infrared cameras include a range of automated features–such as built-in digital visual cameras, Wizard-guided reporting and intuitive database software–that makes the cameras a pleasure to use and extremely powerful. And, ThermaCAM industrial-strength cameras are lightweight for real portability, as well as rugged and durable for field use. No wonder FLIR cameras are the most widely used predictive maintenance thermal imaging cameras worldwide.